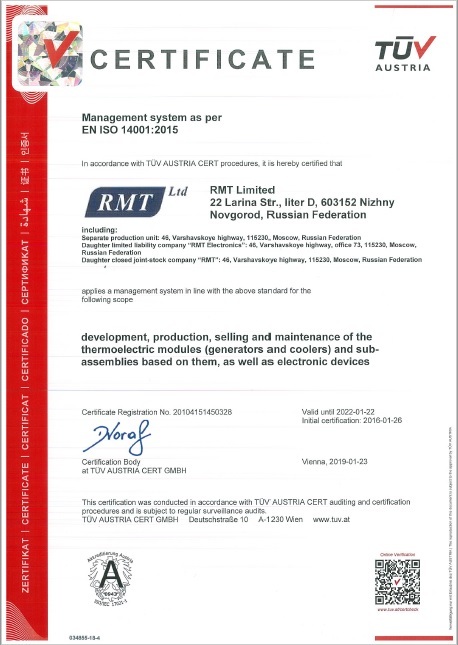 The field of activity of RMT Company is development, production, selling and maintenance of the thermoelectric modules (generators and coolers) and sub-assemblies based on them as well as electronic devices. RMT Corporate Environmental Policy is an important part of the Company’s general policy. 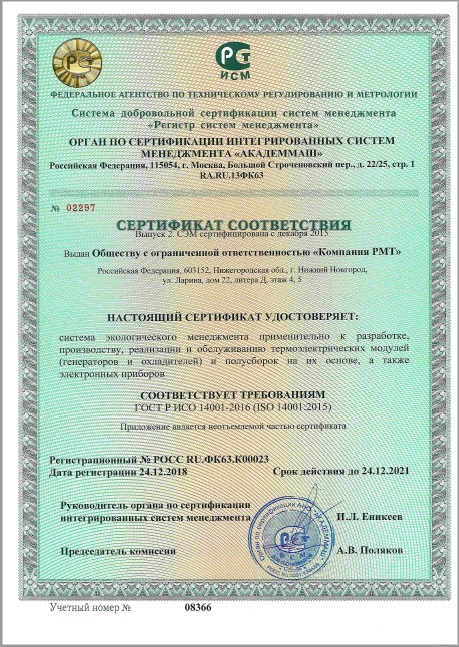 The Company undertakes to comply with the requirements of the Russian Federation regulation and directives of the European Union in the field of environmental protection, to make rational use of natural resources; to aim at decreasing steadily the impact on the environment, improving continuously the environmental management system and preventing pollution. 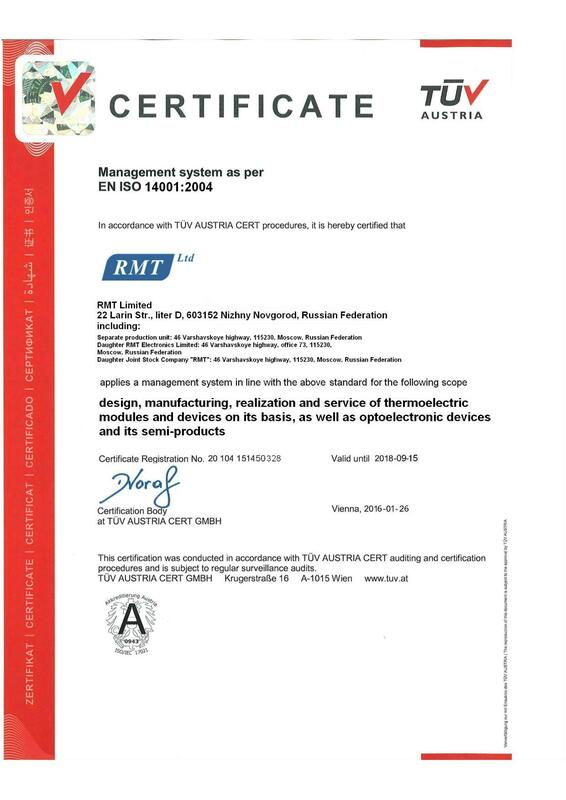 The goals of the RMT environmental management system are as follows: improving environmental safety and security conditions; increasing the level of the Company’s social responsibility; reducing the negative impact on the environment. • Maintenance of the environmental management system in accordance with ISO14001 standards and its continuous improvement. 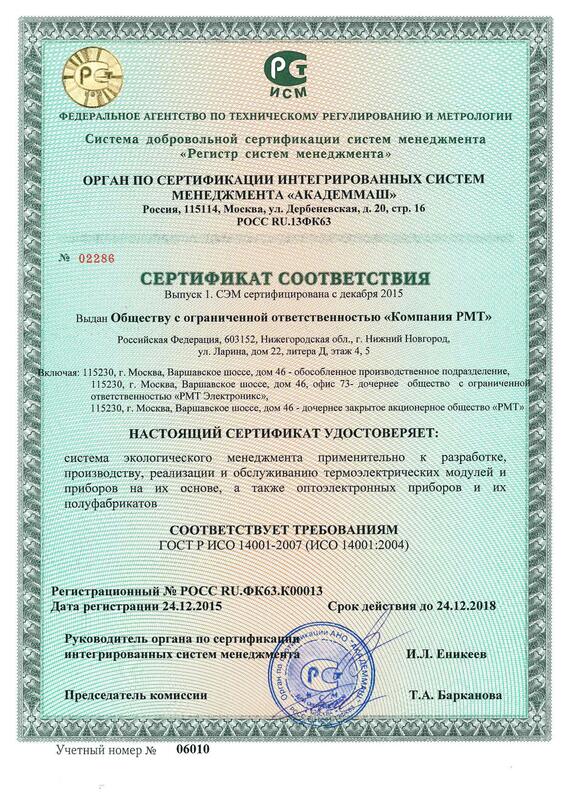 RMT is committed to constant improvement of the environmental management system in order to improve environmental performance and affirm their engagement to fulfil the commitments as well as bear responsibility for the implementation of this Policy in the environmental field and acquaint all the employees with the current Policy.